The Indiana Chamber of Commerce is just a few years away from celebrating 100 years (the organization was founded in 1922). Over nearly a century, there have been countless staff changes and evolutions to help move the organization forward. 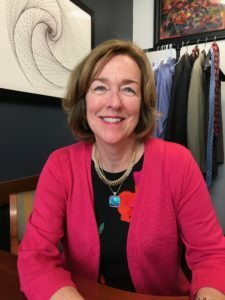 Today, we say “thank you and farewell” to Janet Boston, who is retiring as executive director of the Indiana INTERNnet program, which is managed by the Indiana Chamber. Boston has been in the role for seven years and caps off an outstanding career in both the non-profit and for-profit sectors. Read more about Boston’s impact with the organization here. The Indiana Chamber and Indiana INTERNnet Board sent Boston out in style – with a luncheon and office celebration, and presented her with a custom necklace in appreciation of her taking the program to new heights. Mark Lawrance, who has most recently been advocating in the economic development and technology areas, will replace Boston as interim executive director of Indiana INTERNnet, starting June 1. Lawrance will be retiring later this year and is expected to stay in the interim role until the fall. Additionally, as previously announced, the Indiana Chamber has partnered with the Wellness Council of Indiana and Gov. Eric Holcomb’s administration to help combat the state’s opioid epidemic. The new Indiana Workforce Recovery initiative is a joint effort among the groups and is led by Jennifer Pferrer, executive director of the Wellness Council. The initiative provides employers with resources and guidance on how to help their employees who are impacted by the opioid epidemic. Allyson Blandford has come on board at the Wellness Council to support the initiative as project manager. Also at the Wellness Council, Madie Newman has joined as program coordinator for the Indiana Healthy Communities initiative. The role has been created to support the organization in helping communities coordinate wellness efforts, ensuring healthier citizens and acting as a draw for economic development opportunities. Abbi Espe rounds out our membership team. She was hired this spring as the manager of member services for northeastern Indiana and will focus on bringing new companies into the fold. On the education front, the grant-funded college and career readiness position, held by Shelley Huffman, ends today. Lobbyist Caryl Auslander, who handled education and workforce matters, has left for new endeavors. Greg Ellis, vice president of energy and environmental policy, is now responsible for federal lobbying. 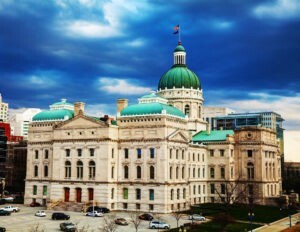 Members of the Indiana Chamber’s advocacy team are assuming Auslander and Lawrance’s other policy committee duties on a temporary basis until new staff is hired later this summer. Today, the Indiana General Assembly reconvenes to pass five bills; four had been through the entire process during the regular session that ended on March 14 and were ready for final passage. To use a basketball metaphor to describe the situation with these bills: The ball was still in the shooter’s hands when the shot clock went off. And the bills to be taken up in the special session will substantively be the same bills that were making their way down court in the final minutes of regulation. The only other bill is a technical corrections measure to reconcile inadvertent conflicts in language of bills that passed – i.e., two bills amending the same section of the code, but with slightly different wordage. Such technical corrections bills are routine. As we reported last month, there are two tax administration bills. House Bill 1316 – the one to update Indiana with the federal tax reform changes – is both significant in effect and time sensitive. Failure to pass this legislation would greatly complicate 2018 returns and be of substantial consequence to Indiana and its taxpayers. Meanwhile, Senate Bill 242 includes a number of provisions the Indiana Department of Revenue sought to improve tax administration. The remaining two bills are in the education realm: one addressing school safety issues and the other involving state oversight of financially distressed school systems – often regarded as the Muncie and Gary schools bill. There are lingering disagreements attached to the provisions of the latter legislation (testimony was heard earlier this week by the Legislative Council), and it will reignite debates that were had during the regular session. But it is expected that the time allotted for rehashing these debates will be limited. Given the timeframe, there is little for legislators to do except formally act on the five bills. That leads us to the question: Will they in fact get all their work done in a single day? Probably so, once they suspend most of the rules that would, if applied, serve only to prolong the proceedings. Separately, it appears there is some other significant business to be conducted by the Senate while they are all in town. Rumor has it that the following day (May 15) will be devoted to some serious internal politics. That would be the selection of a new Senate Pro Tempore to replace the retiring Sen. David Long (R-Fort Wayne). Talk is of a “binding straw poll” seeking to lock members into a statement of who they intend to support when a formal vote is taken in November, after the fall election. Senators Rod Bray (R-Martinsville) and Travis Holdman (R-Markle) are the acknowledged frontrunners for the Senate leadership post. Many Hoosiers looking for a jumpstart to begin or finish their postsecondary education now have a new opportunity through their employers. The Indiana Chamber of Commerce is partnering with Ivy Tech Community College in the Achieve Your Degree program to provide discounted tuition exclusively for Indiana Chamber member companies and their full-time employees. A 5% discount will apply to a company’s existing or future tuition assistance program, as well as to employees who finance their own education. For convenience, payment is deferred and one invoice is sent at the end of each term that reflects tuition fees after any financial aid has been deducted. The Indiana Chamber is the state’s largest business advocacy and information organization, representing thousands of businesses of all sizes across the state. Ivy Tech Community College, which has more than 40 locations throughout the state, is the largest public postsecondary institution in Indiana. Ivy Tech started the Achieve Your Degree program in 2016. 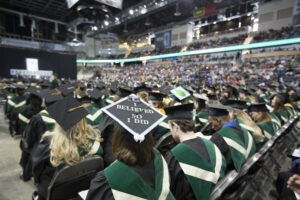 What can’t be stressed enough, says Ivy Tech Community College President Sue Ellspermann, is how customizable and convenient Achieve Your Degree is. Employees can take a combination of online and on-campus coursework that fits their busy schedules. Ivy Tech Community College provides support throughout the process, assigning a liaison to help coordinate the effort. Assistance with admissions and financial aid applications, plus student advising and tutoring, are all part of the service. Employers also receive marketing materials to help inform employees about the program. Brinegar believes one key differentiator of Achieve Your Degree can’t be overstated. Cook Group, headquartered in Bloomington, experienced that firsthand and redesigned its own program so employees didn’t have to wait for reimbursement. Cook Group President Pete Yonkman reported to the Indiana Chamber last year that the company saw an 800% participation increase in its tuition support program, jumping from 50 to 450 employees. It will take major strides like these to prepare for the jobs of tomorrow and get more people engaged in completing their education, Ellspermann offers. Companies can learn more about this exclusive Achieve Your Degree partnership through the Indiana Chamber at www.indianachamber.com/achieve; Ivy Tech explains the entire program at www.ivytech.edu/achieveyourdegree. Residents in three Indiana towns will have the opportunity this year to see a scaled replica of the Vietnam Memorial through the Wall That Heals, a traveling educational and memorial experience. The first 2018 Indiana stop, Salem on May 17-20, is sponsored by the Washington County Community Foundation. Executive director Judy Johnson offers that of over 100 communities nationally that applied to host the Wall That Heals, only 39 were selected. The Wall That Heals will also have Indiana stops in Milan on September 6-8 and Middletown on September 27-30. Of the various events that will be scheduled around the wall’s stop in Salem, Johnson says retired Lieutenant General Michael S. Tucker will be the guest speaker during the organization’s opening ceremony. The Wall That Heals is a three-quarter size replica of the Vietnam Memorial in Washington, D.C., and is 375 feet long and 7.5 feet high at the tallest point. All names on the original memorial are included and visitors can do name rubbings on the replica. Hosting The Wall That Heals provides a community with a multi-day experience of reflection that includes an educational experience for local schools and organizations on the history of the Vietnam era and The Wall. The exhibit includes The Wall replica and a mobile Education Center that comprises digital displays of photos of service members whose names are on The Wall; letters and memorabilia left at The Wall by visitors; a map of Vietnam; and a chronological overview of the Vietnam War. The exhibits tell the story of the Vietnam War, The Wall, and the era surrounding the conflict, and are designed to place American experiences in Vietnam in an historical and cultural context. The Vietnam Veterans Memorial is one of the most visited memorials in our nation’s capital, with more than 5.6 million visitors each year. 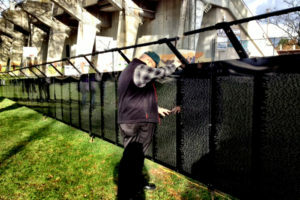 However, many Americans have not been able to visit what has become known to many as “The Wall.” The Vietnam Veterans Memorial Fund (VVMF), the organization that built The Wall in 1982, wants to provide all veterans, their family members, and the general public across America an opportunity to visit the memorial. More than 200,000 people visited The Wall That Heals in 2016. Since its debut in 1996, the exhibit has been on display in nearly 500 U.S. communities, as well as internationally during an April 1999 tour of the Four Provinces of Ireland, and a visit to Canada in 2005. VVMF coordinates local stops of The Wall That Heals and the accompanying mobile Education Center. The current schedule and more information can be found at: www.thewallthatheals.org. Massachusetts has long been recognized as a K-12 education leader. (In the most recent Indiana Vision 2025 Report Card unveiled in 2017, it ranked in the top five in all the most significant education categories at the K-12 and postsecondary levels). It is now receiving high praise for its work in the career and technical education (CTE) area. It’s important that all students, regardless of their background or needs, have the opportunity to enroll in high-quality CTE programs. A necessary condition of that is providing students and parents with quality information about their options. And in terms of equity, states should make sure that admission policies and procedures aren’t biased in favor of certain students or certain populations. Without the proper infrastructure in place, CTE programs can’t serve students well, let alone contribute to closing achievement gaps. AVTE points to a few key aspects of good infrastructure, namely employing effective teachers and staff, updated facilities and access to appropriate equipment. Perhaps the most important lesson is that high-quality CTE sectors need reliable and adequate funding. 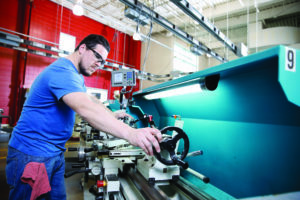 Modernized buildings, proper equipment, and highly qualified staff cost money, and states that want the benefits of excellent career and technical education must be ready to fund them. In the past, CTE has been labeled as “blue-collar stuff” best left for kids who aren’t on a college path. Many of today’s programs, however, are just the opposite. Students earn industry-recognized credentials that will place them in good-paying jobs, but they also earn associate and bachelor’s degrees. This transformation has a lot to do with the curriculum, instruction and assessments used by the programs. For starters, high expectations must be non-negotiable. CTE students should never be held to lower standards than their peers in traditional academic programs. And curricula should be aligned to state academic standards, as well as national benchmarks and local employer needs. States should also carefully consider how to license and train their CTE teachers; AVTE recommends using nationally validated teacher competency testing. As for assessments, AVTE recommends utilizing pre- and post-technical tests to measure exactly what students know and are able to do. The primary goal of CTE programs is to prepare students for careers. To this end, AVTE recommends collaborating with recognized industry credential providers like NOCTI to develop state-customized credentials that accurately measure readiness. Similar to the way a good ACT or SAT score demonstrates college readiness, earning an externally validated credential can give CTE students solid proof of their readiness and skills. AVTE also emphasizes the importance of meaningful partnerships between CTE programs, businesses and community members. There’s no way to determine whether programs are effective without measurable outcomes, such as rates of graduation, dropout, job placement, and college-going and persistence. States should make these data easily accessible to the public so that students and their families can make well-informed choices. So what is the purpose of high school in America? We think most agree that it is to train our students up to be responsible and productive citizens. But how exactly do we measure that? Research over the years has shown the numerous benefits of high school completion, how it improves the likelihood of higher wages and decreases the likelihood of being arrested for a crime, for example. This type of research led to a focus on graduation as the ultimate measurement. It’s as though we believed that something magical happened by simply pushing all students to get across the graduation stage in four years. In turn, while the national graduation rate has soared to record highs from 2005 to 2015, the value of a high school diploma, as measured by median annual earnings, has taken a significant dip over that same time period. The value of the diploma has decreased, even as more students have crossed the stage. Would we say that 84.1 percent of our students, all those who graduated in 2016, are leaving high school prepared for successful lives? Ask ten people and we bet you won’t get a single “yes.” Therein lies the problem we are faced with today. Where did we go wrong and how do we fix it? First, it’s important to change how we measure success. If we want high schools to ultimately turn out responsible and productive citizens and we agree that not every graduate in America today fits that criteria, then let’s not use graduation rate as our ultimate measure of success. Let’s instead measure the outcomes we wish to see after high school; things like employment rates, median annual wages, job satisfaction, and postsecondary educational program enrollment and completion rates. Are these metrics as easy to calculate and report out for every school and district as the four-year cohort graduation rate? No. Should that prevent us from doing it? No (but it often does). With our focus firmly planted on student outcomes after high school, we can now begin to reimagine the experience itself. The solution – personalized learning, the educational buzz word that has every school across the nation attempting to better serve each student’s unique needs and goals. All the while the system in which these schools operate has continued its one-size-fits-all model. The right hand is saying, “Every child is unique, has different strengths and weakness and dreams, and should have ownership and agency over his/her learning,” yet the left hand is simultaneously shouting, “But don’t forget you need to ensure he/she masters every single rigorous standard, passes every standardized test, and graduates college-and-career ready in four years.” It’s time we take the hands and align the left with the right (and no, that isn’t a political joke). 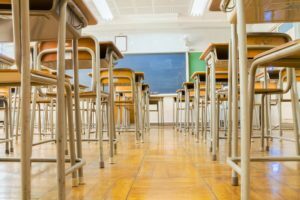 Across the country at this very minute, there are thousands of students sitting in classes they could have aced on the very first day of school. An even larger population of students are being dragged along to more advanced concepts before they are ready simply because the teacher needs to cover all of the course objects in the allotted amount of days for the semester. Our current system based entirely on the accrual of seat time and credits in individual subject areas is incredibly outdated. Instead, our high school “graduation plan” should be a cross-curricular checklist of knowledge and skills that students should master in order to graduate. Education Reimagined is partnering with schools nationwide to make learner-centered education like this a reality. The beauty of this model is that it not only allows a student to advance at his/her own pace, but it opens up a wide range of pathways by which a student can demonstrate mastery, which leads us to our next recommendation. It’s time we truly acknowledge that every student is unique and in turn provide fully personalized graduation paths. Career and technical education (CTE) and college preparation programs should be seen as equals, preparing students for the next step they choose to take. For example, if the graduation checklist requires students to be able to write a research paper, let’s give them an option to fulfill that in any course whether that is advanced English Literature or a welding course. A 2016 CTE Study from the Fordham Institute shows many benefits to a quality CTE program, including an increased likelihood that the student will graduate from high school, enroll in a two-year college, and be employed with a higher wage after graduation. Every student should be given control to create a path toward graduation that uses his/her interests and future plans as a foundation upon which to add relevant coursework, internships, and life skills training. Indiana seems to be leading the way in this area with recently-approved Graduation Pathways. Embracing the above two recommendations means a shift in American high schools as we know them. Knowing that, it is important that our last recommendation be to reimagine learning across the entire preschool to higher education/career continuum. Instead of moving students in primary grades with age cohorts, let’s focus on competency-based mastery. Give students who need extra time the time that they need to gain understanding and allow those who are ready to move on the chance to advance. Instead of labeling a student as a “failure” for not having graduated from high school in four years, set the expectation that students may master all of the competencies required in anywhere from three to seven years. 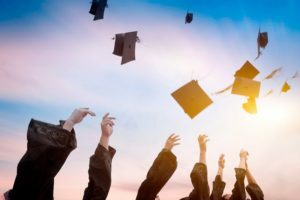 Connect that high school graduation checklist with expectations of colleges, universities, career training programs, and jobs in order to ensure that when students do graduate they are truly prepared to embrace the next step, whatever that is for them. So with three simple recommendations we have successfully turned the entire high school system on its head. I’d heard of the International School of Indiana long before I had the chance to visit for a story in the current edition of BizVoice®, but really didn’t have any idea of the school’s mission as it was founded in Indianapolis over 20 years ago. Now I can’t stop relating to it. As you can read here in the story in our March/April edition of BizVoice, the school was created in 1994 to offer an international education option for families of foreign executives and since that time has become known for offering one of the most rigorous curriculums for students in Indiana. The high school has a 100% graduation rate and a 100% college acceptance rate and last year’s class of graduating seniors (there were 42 of them) was offered $6 million in merit scholarships. 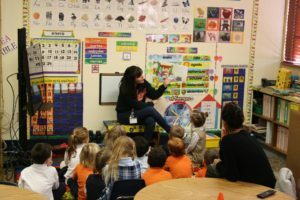 I toured both the lower school (ages three up through grades five) and upper school (grades six through 12) and walked through classrooms of pre-kindergarten children learning Mandarin, Spanish and French and was blown away by the poise and passion of high school students speaking about their experiences with the school. Seeing today that the city of Indianapolis has received a final license from the World Trade Centers Association to establish a World Trade Center in the city makes me think of the International School. While the school was established nearly 25 years ago, the founding mission is still relevant in offering an international curriculum to students in Indiana (whether local students or those from other nations). I was also reminded of the school when I recently visited a friend in San Francisco and met numerous people – from my friends’ housemates from Russia, to one of our Lyft drivers from Algiers – who were multilingual. While I was accidentally interviewing (yes – it’s a hazard of my job) that Lyft driver from Algiers, I asked him what language is dominant there and was thinking the answer would be French. It was but, in addition, he listed two others I’d never heard of. English is his fourth language. The students at the International School are also able to learn up to four languages, right here in central Indiana. It’s the only school in the Midwest with a trilingual option, in addition to English. As Indiana continues to make a name for itself around the world, seeing the impact of the International School up close and personal was enlightening and – as I’ve mentioned – sticks with you. John McDonald, CEO of ClearObject and chair of the Indiana Chamber’s Tech Policy Committee, is proficient in many areas – including crafting analogies. “If the spark that ignites an entrepreneurial company is initiative, then what are the other necessary components that fuel the fire of innovation? Like we learned in elementary school, fire requires fuel, oxygen and heat, and if any of these elements is removed, the fire stops. Check out John’s full column. The Indiana Chamber is highlighted through the Foundation’s Business Champions Advisory Network, Indiana INTERNnet’s 12th annual IMPACT Award winners and an overview of the organization’s workforce development efforts. What do we do to help our K-12 education system function at a higher level? There is no shortage of suggestions or recommendations. “We have a system whereby millions of teenagers sleepwalk through so-called college-prep classes, graduate (sometimes without earning it), get pushed into college (often into remedial courses), and quickly drop out. It’s “bachelor’s degree or bust,” and for the majority of kids, the result is bust. So what might work better? Twelve years ago, the Tough Choices or Tough Times report made an intriguing set of recommendations that would make the American system more like those in Europe. It’s time to dust it off again. Here’s my spin on them. In ninth or tenth grade, all students should sit for a set of gateway exams. Think of them as high school “entrance exams” rather than “exit exams.” They would assess pupils on reading, writing, math, science, history, and civics – the essential content and skills that all students should be expected to know to be engaged and educated citizens. There would also be a component assessing students’ career interests and aptitudes as best as these can be gauged for fifteen-year-olds. Students who pass the exams would then choose among several programs for the remainder of their high school years – programs that all could take place under the same roof. Some would be traditional “college-prep,” with lots of Advanced Placement, International Baccalaureate, or dual-enrollment courses. 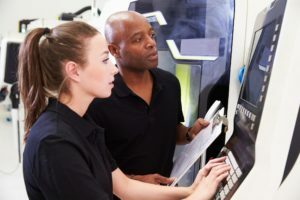 Others would be high quality career and technical education offerings designed to lead directly into degree or certificate programs at a technical college. All of the programs could set entrance requirements that ensure that students are ready to succeed in them. And their selectivity would make them prestigious and appealing to a wide range of students. At the end of high school, students would graduate with special designations on their diplomas indicating that they are ready for postsecondary education or training without the need for remediation. Students who don’t pass the exams would enter developmental programs specifically designed to help them catch up and pass the tests on their second or third (or fourth or fifth) tries. Those that catch up quickly can join their peers in the college-prep or CTE programs. It’s a lot to tackle. It’s harder than just chastising teachers and principals who graduate kids who can’t read or do math. But in my view, its time has come. Perhaps one of the men or women running for governor this year would like to give it a try. Our Tom Schuman gives a two-minute look into the new March/April edition of BizVoice® magazine, detailing stories on education and workforce initiatives, as well as a peak into Indiana’s political history with a new entry in our yearlong Road Trip Treasures series. Additionally, a guest columnist tackles the needed ingredients for Indiana to ignite the entrepreneurial fire.